And then you lose control of your bike or at the very least get a flat tire on your way to work…. DON’T RIDE YOUR BIKE THROUGH PUDDLES!!! More on The Plague, Missed Shenanigans, something about a dead animal, my triumphant return to Beer & Bike and my love affair with spandex to follow. 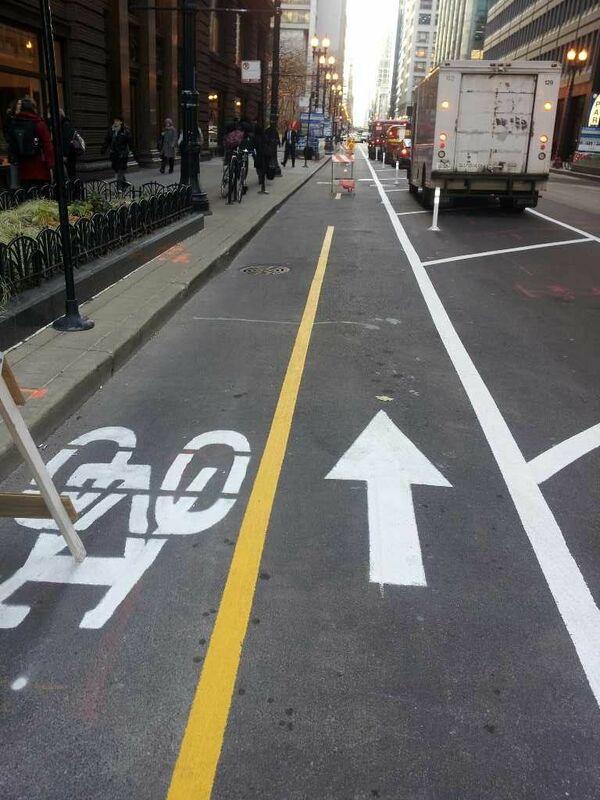 The new two way bike lane on Dearborn looks a bit narrow!!!! Southbound riders in particular will have to be careful.